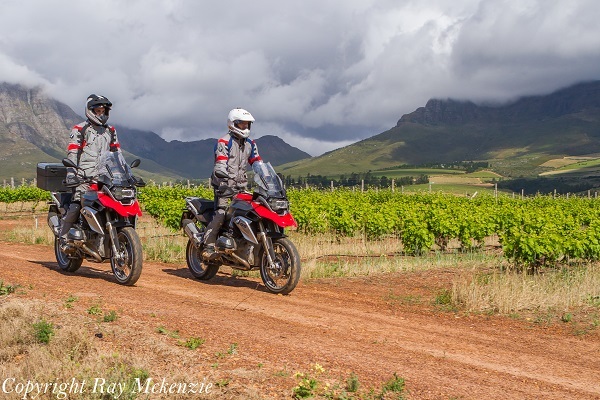 Day 3 started with rain, and a ride from Belleville to the Orchard Farm Stall Restaurant, just outside Grabouw for a mid-morning brunch and taste of Appletiser! 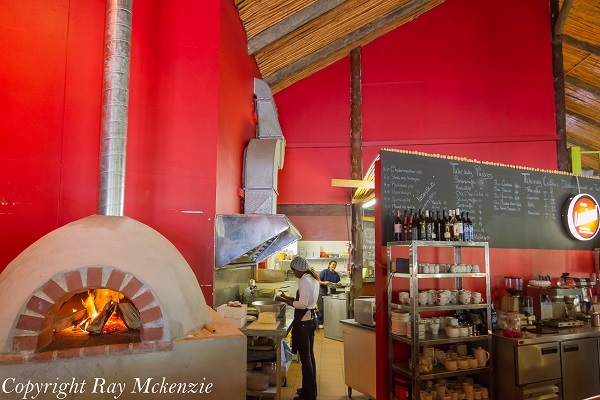 The region is known for its wine and wonderful food and this family oriented restaurant was a wonderful way to start the day! The fireplace was stoked and as luck would have it we got to sit right beside the crackling flames, a perfect setting for an amazing meal! In the end I was surprised at how inexpensive it was to have a full meal including drinks, all for less than $7.00 US for food you would pay at least twice as much for at home. 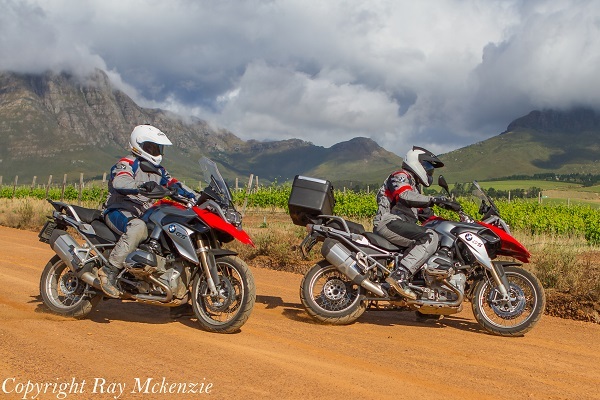 Warm and full of fine South African food, everyone was anxious to get on the road, and Johann (Owner of Moto Motivo and our South African Guide extraordinaire) had an absolutely stellar route planned through the mountainous region east of Cape Town. 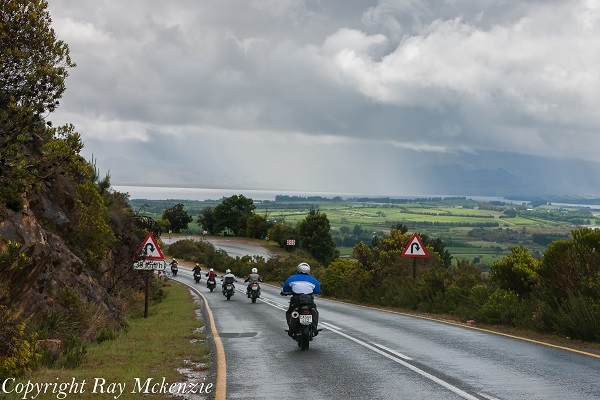 The drive did not disappoint, even though the rain clouds followed us through most of the day! 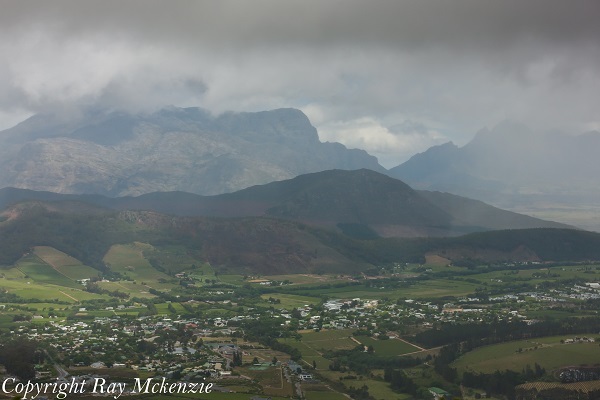 Our intrepid group of adventurers stopped at a scenic overlook near the Mont Rochelle Nature Preserve east the small town of Franschoek, which you could see in the valley far below us. There was a very low cloud ceiling, with gaps allowing light to illuminate the town, and interesting scene for any photographer! 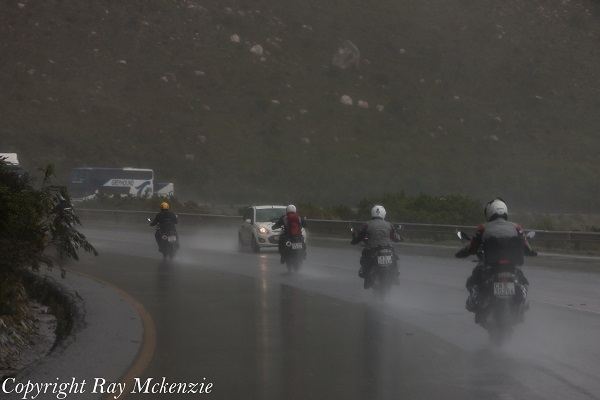 Within minutes the winds picked up and the rain came down in buckets, sending everyone into a frenzy looking for rain gear! 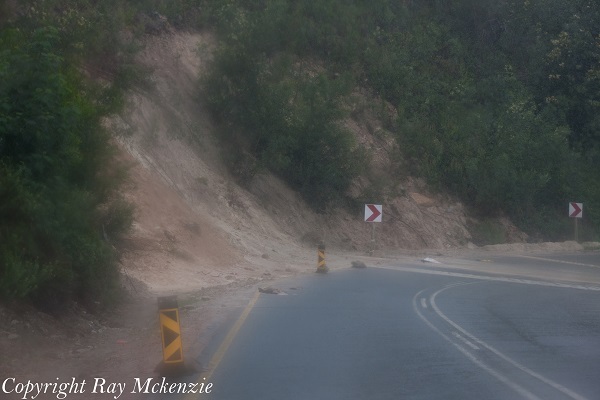 The rain was heavy enough to cause minor mud slides across the road at various points along our route down the mountain pass. Talk about adding a little adventure to the ride! 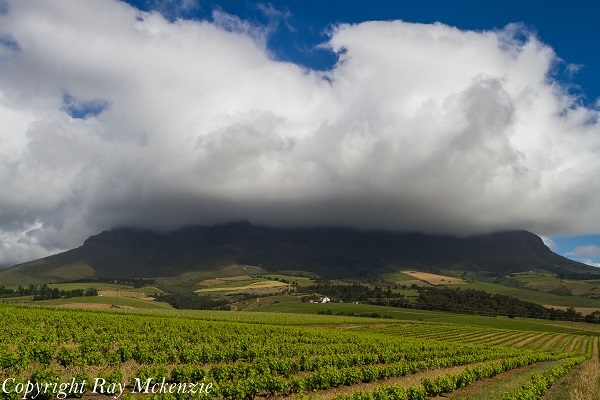 Our mountain adventure eventually took us to the famous Stellenbosch Wine region, to our hotel for the evening, the Kleine Zalze Wine Farm! Johann had organized one of the most amazing rooms I have ever stayed at, a massive bedroom, with a kitchenette, living room, balcony with a mountain view, I could go on, but I think you get the point. 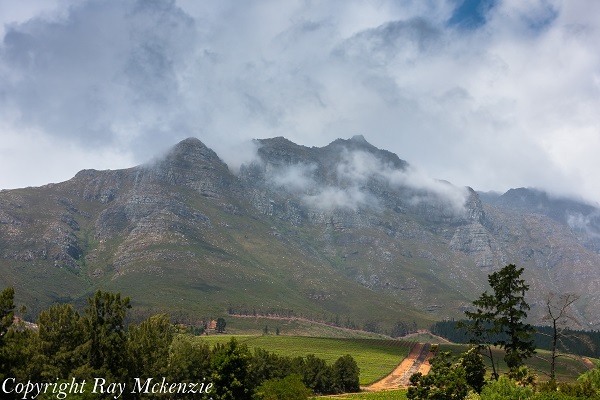 It was truly amazing and if you visit South Africa, you have to put Kleine Zalze on your itinerary! Thanks so much Johann!!!! It was nice to be off the road early but we had very little in terms of photography other than tailing group shots, so Neale and I talked about going out to get some good dirt road photos. 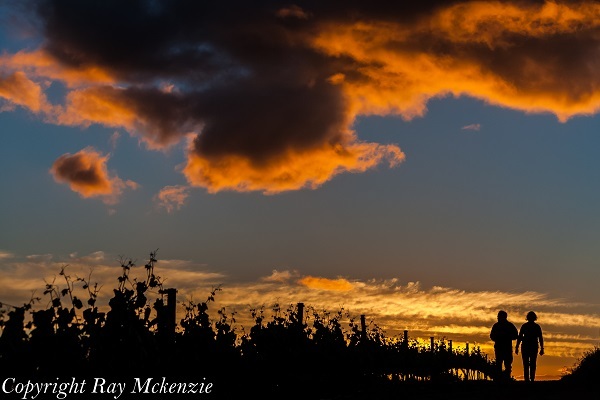 It was nice that Neale and Anthony decided to play along and in short order we headed out in search of someplace to get some incredible shots! 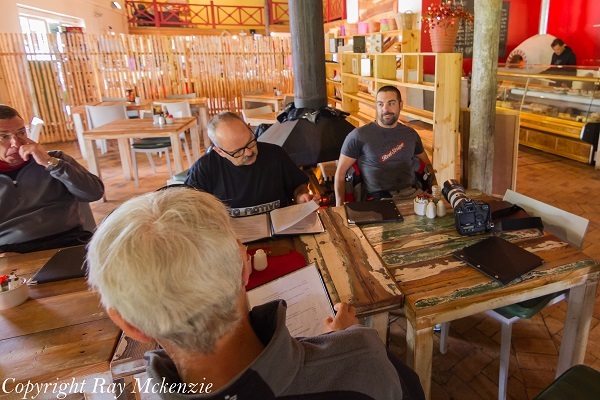 So we explored the area, and it was not long before Neale and Anthony came across a small shanty town nestled right beside a suburban Shopping Mall and middle class homes. 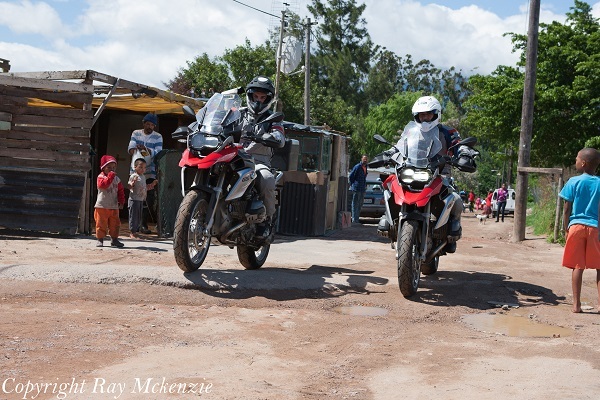 As true ambassadors of kindness, Neale and Anthony drove into the small shanty town just off Webersvallei Rd north of Highway R44, and immediately attracted a large group of smiling, super excited children! I watched as they chatted with the children, taking pictures and showing them the shots on the small camera view screens! 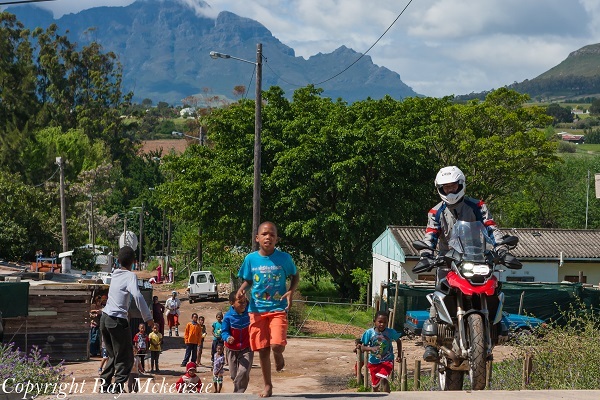 It was an amazing sight to see, despite the poverty clearly evident in the community our visit was met with smiles and waves, there is something about motorcycle travel and photography that breaks down barriers between people. This was one of those times. We made small donations to the children and as we left the children (most in bare feet) ran after Neale smiling and waving, this was definitely an experience I will remember for the rest of my life! 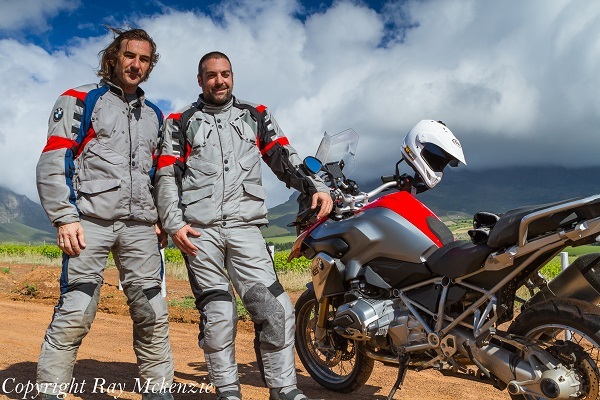 We continued our exploration and found a dirt road near a huge area of vineyards at the foot of the mountains. 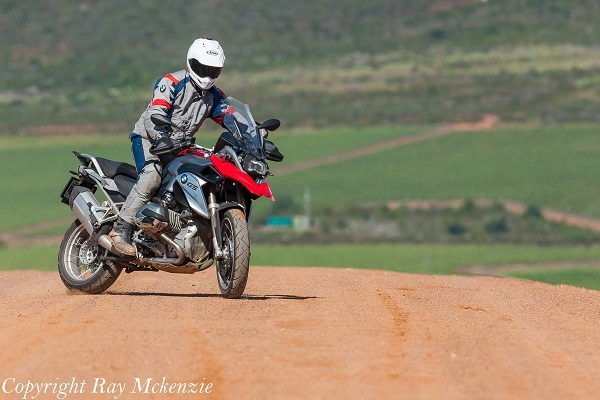 In short order Neale and Anthony were putting both BMW R1200GS motorcycles through their paces! 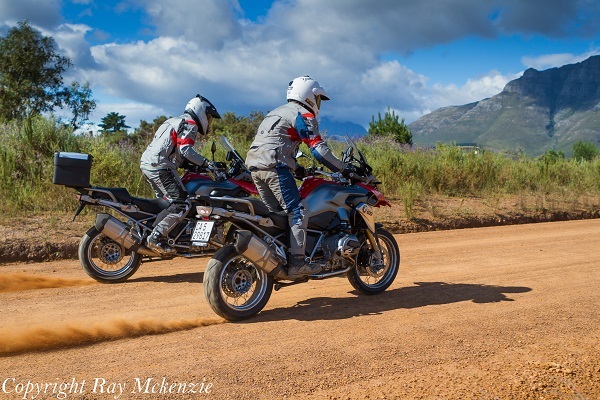 It was so cool to capture some incredible riding in the dirt on motorcycles with stock street tires, with both Neale and Anthony getting the motorcycles completely sideways! Anthony broke out his GoPro Hero3 and took some video, which sold me on the idea that I needed one of those amazing little cameras in my photographers’ bag! The rugged GoPro Hero3 provided incredible footage and field of view, well worth the small investment! 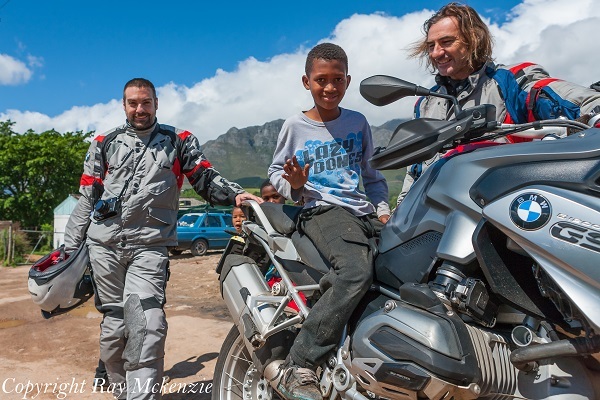 Neale and Anthony did not want to leave, as they were having so much fun ripping up the road, but we were all very hungry and exhausted, and also needed to catch up on photo processing, and social media postings. 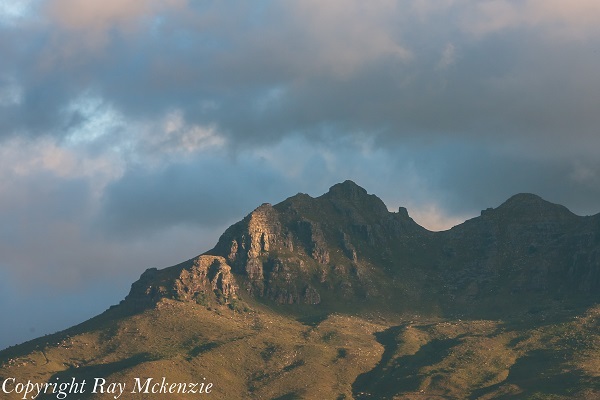 We ended up staying in our room, ordering in food and wine, while enjoying the sunset on the mountains from the balcony, a truly incredible day! We even managed to take a few night shots before finally retiring for the night. 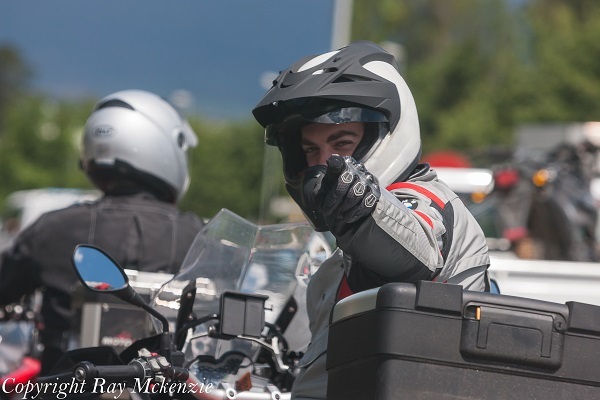 If you would like more information regarding the route, motorcycle rentals and hotels please contact Johann at Moto Motivo…yes it was THAT good!